America has Route 66. Australia has the Great Ocean Road. 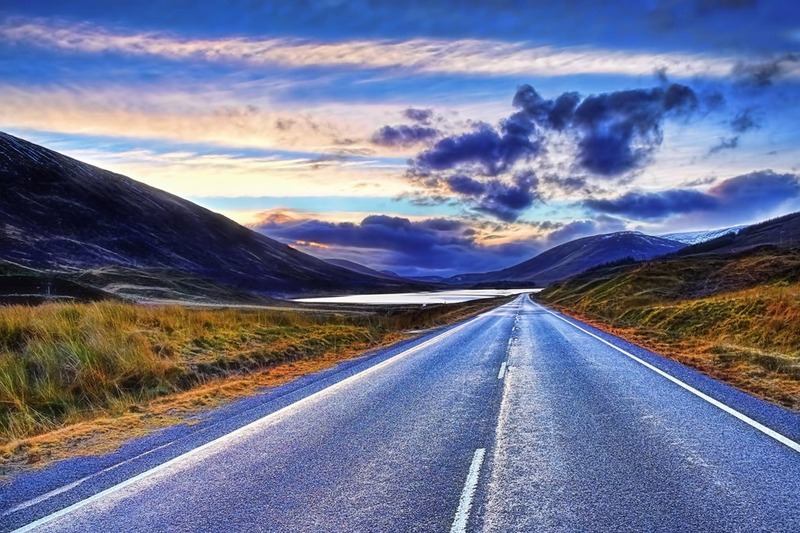 Scotland is launching its own bid to create an iconic road trail for visitors. North Coast 500 - to be known as NC500 - aims to open up a fresh tourist market in Caithness, promoting the best of the far north in a journey along the region’s coastlines. The venture is the brainchild of the North Highland Initiative (NHI), set up by Prince Charles to showcase the area, and is ­targeting car and motorbike ­enthusiasts, as well as cyclists and walkers wanting to take in some of the most scenic parts of the country. The route will link natural heritage and scenery, celebrate local food and drink, accommodation, retail, arts, crafts and ­attractions of the region. It will run from Inverness, to the Kyle of Lochalsh on the West Coast, via the rugged north coast to John O’ Groats, before heading down the east coast, completing the loop in Inverness. There has already been huge interest shown in the route from American travel journalists and publications. Route 66 is one of the most popular journeys in America, the inspiration for numerous songs, while the Great Ocean Road in Australia takes in some of the country's most scenic landscapes. Visit Scotland chairman Mike Cantlay said famous routes around the world attract tourists and generate millions for the economy. He believes NC500 could have a similar impact in the Highlands, adding: “From our enchanting wildlife and countless historic attractions to magnificent mountains, dramatic lochs and sandy beaches, the Highlands is a true touring paradise. There really is nothing quite like the open road. Motorcyclists and scooter riders in France will be required by law to carry a high visibility jacket or face a fine of up to a 135 €. This new law comes into effect on January 1st 2016 and French police can demand riders to show a yellow bib, with failure punishable by an 11 € fine, escalating to nearly €135 during a breakdown. There is no obligation to wear the vest at all times, only to carry it on the bike or person. British bikers planning a continental tour will not be exempt from the requirement. Motorcycle lobby group Federation Francaise des Motards en Colere (FFMC) has argued bikers are more likely to get injured at the roadside as they waste time retrieving the jacket from under a seat or top box. Meanwhile, motorcycle lobby group, the Federation Francaise des Motards en Colere (FFMC), has hit back at the new measures set to be implemented from 1 January 2016, arguing that wearing hi-vis vests will not solve the problem, but add to it, with the obligation to retrieve the vests from a bike's storage whilst being within close proximity of oncoming traffic presenting a danger in its own right. Next date is Tuesday 26thth May, then fortnightly through to the end of October. Photos are now on the website from the latest meeting of the BikeWise Mini Bike Club (BWMBC), which was held on Sunday 17th May at Carrville Park & Ride, Durham. Many Thanks to all who helped to set up the track, sign on the riders and help with marshalling throughout the day. Please CLICK HERE to go to the the gallery on the website and then click on the thumbnail pictures for the 17th May. Sunday 17th May at Carrville Park & Ride, Durham. Trading Standards Officers are urging anyone who has bought a Jiekai model JK 100 or JK 1000 helmet to stop using it immediately and return it to their supplier. The warning comes after a man was sentenced for selling 'potentially lethal' Chinese motorcycle helmets online. Shocking photos released by Trading Standards show the damage incurred by the counterfeit lids after they failed safety tests. Any biker in an accident wearing these helmets would have received an impact 'six times more forceful' than permitted by law, Trading Standards officers reported. The helmets were supposed to undergo five impact test but were already destroyed after the second, by which time they would be passing G-forces of 1,000 to the wearer (the legal limit is 275 G). The red and black lids were branded Jiekai JK1000 and were found to buckle when squeezed by hand. The chin straps could also be ripped off. A Trading Standards officer described them as 'next to useless' and 'potentially lethal'. The helmets all bore an authentic-looking hologram safety sticker that could easily fool an untrained eye. The dangerous helmets were discovered during a raid of a warehouse belonging to Moortaza Walji from Peterborough. Walji was selling the lids through his own trading name Bargain World UK Ltd as well as a number of other retailers. At Peterborough Crown Court he pleaded guilty to 15 charges including the sale of unsafe motorcycle helmets. He received a six-month suspended sentence and 180 hours' community service. He must also pay costs of £13,000. Trading Standards has contacted around 30 customers to make them aware. We have taken an early decision to cancel tomorrows meeting of the BikeWise Mini Bike Club. The rain has hit the North East and the forecast is for it to continue throughout the night and all day tomorrow.